It's time for your business to partner with a VoIP system provider who makes you sound great, helps you cut costs, and takes your communications around the globe. At Parsec, we make it easy for you to understand how hosted telephony works and how our solutions can easily and quickly integrate into your business. Our systems are easy to use, easy to manage, and scale easily as your business grows. Hosted Phone Systems from ParsecVOICE allow you to do more with less. Our advanced phone features means you'll boost communications, collaboration, efficiency and versatility like never before. Effective communication is vital in the operations of small and medium-sized businesses today. Parsec can help you implement a reliable, cost-effective VoIP phone system that provides all the features you need. We'll help you become more productive by consolidating your communications, and save you money by keeping you connected on the road, reducing long distance charges, and much more. As a small business ourselves, we know exactly what you're looking for. You need business-class tools to help you schedule meetings, join conference calls and connect with your customers anywhere, anytime. That’s why we've listed a few of our features that our customers say make us the best VoIP service for productivity and business efficiency. 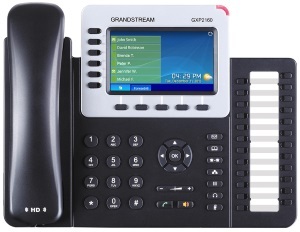 Telephony and unified communications in the cloud is the future. It’s easy to use, feature rich and future-proof. Easily accessible from the web, our platform facilitates your business communication. In addition, our support is second to none, and our experienced team strives to help you to compete and win. As your needs grow and change over time, so do our features and capabilities. Endlessly scalable, flexible, and reliable, your cloud communications platform won’t become outdated or need replacement, so you can focus on your business, and know that your communications solution will always remain relevant and competitive.